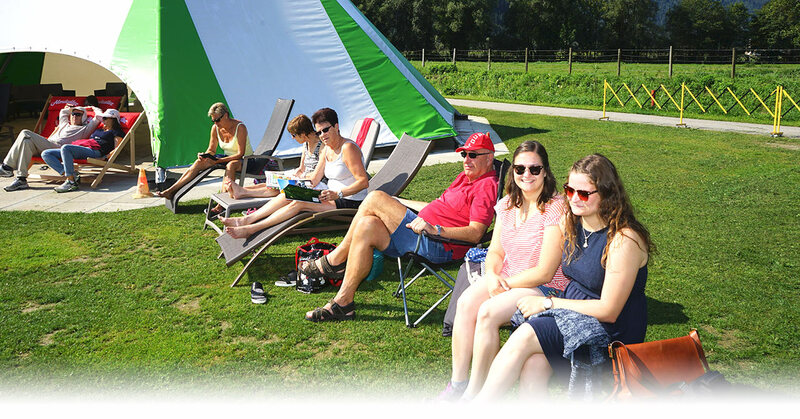 The Upper Drautal Valley Model Aircraft Week has become the most traditional model aircraft event at Glocknerhof. Professionals and amateur pilots will be meeting up for the 37th time to exchange experiences, and those who want to can also take part in the attractive competitions for gliders and engine-powered aircraft. On Friday there is Pilot's ball with award ceremony. This is a week during which many of our regular guests meet up to talk shop and party late into the night. On the airfield the new aircraft models are presented and pilots train hard for the competitions. The engine-powered aircraft competition tests who has the best mastery of simple standard aerobatics in 3 rounds, who can fly through the limbo gate and make a precision landing. The hill soaring competition is the ultimate discipline which involves sticking precisely to the flying time and landing on the centre of a line. But the most important thing is to join in and have fun. The high point of the week is the pilots’ ball and awards ceremony on the Friday. You are welcome to come alone, accompanied, with friends or family. You can check the availability here.